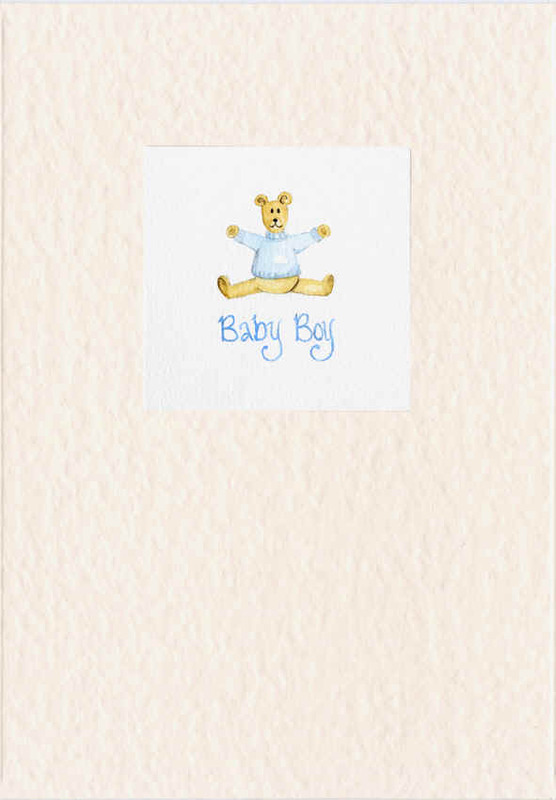 A collection of hand made and hand painted cards and gifts designed with babies and children in mind. 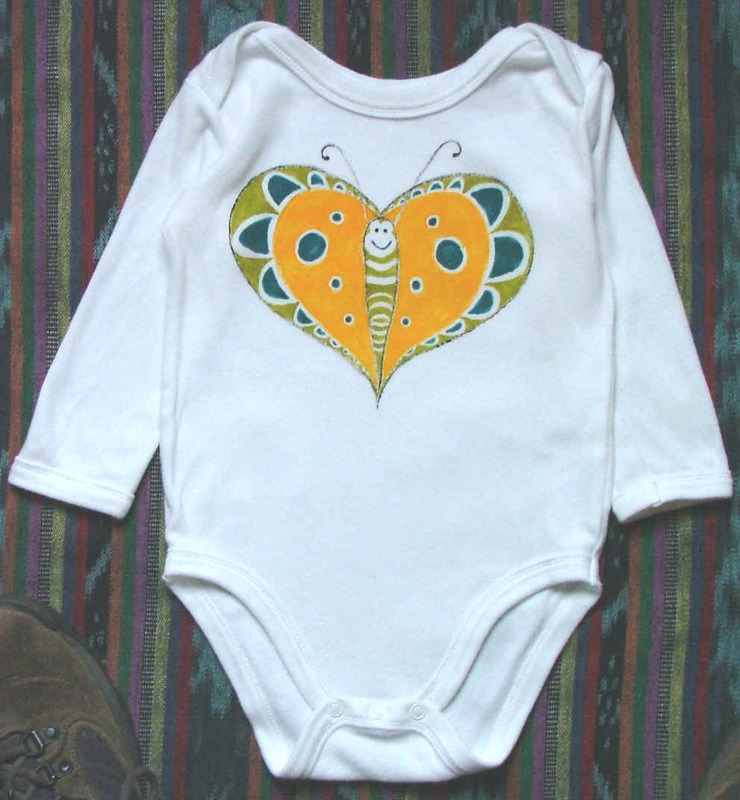 A card commissioned to go with a body suit. 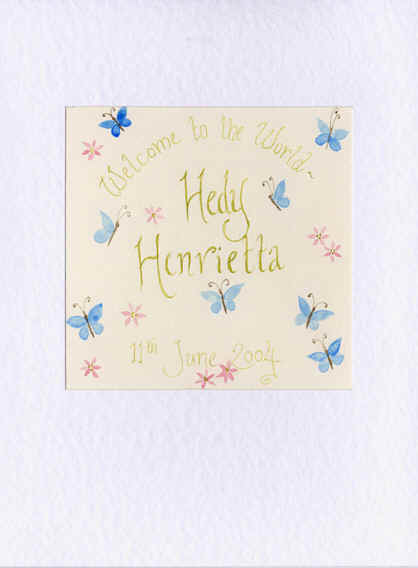 Hand painted in watercolour and hand written. 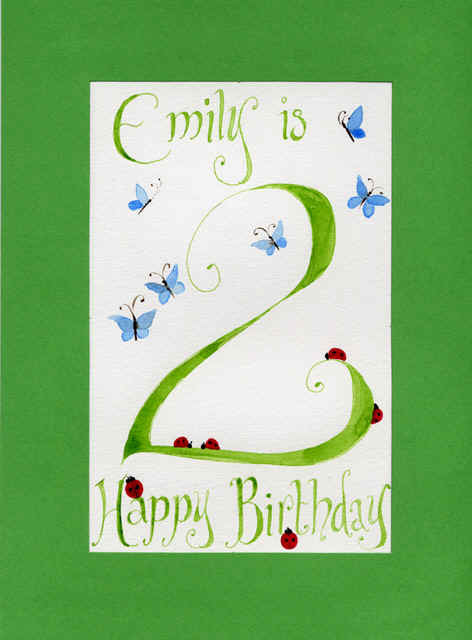 Hand painted birthday card. 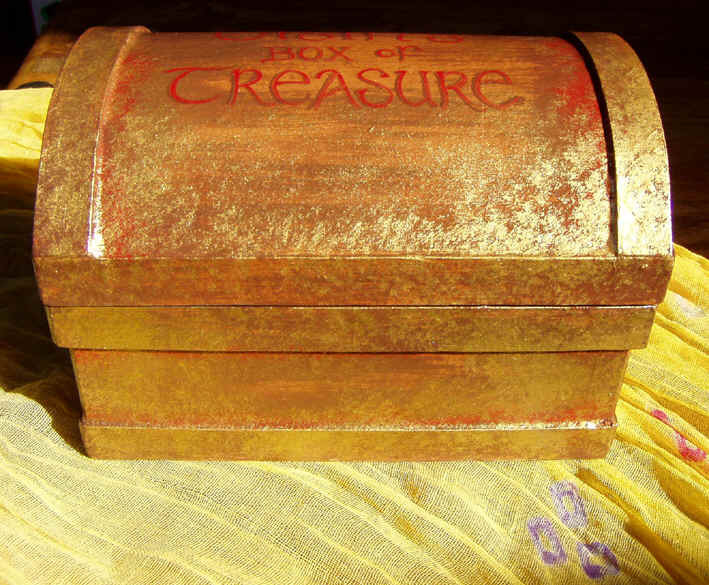 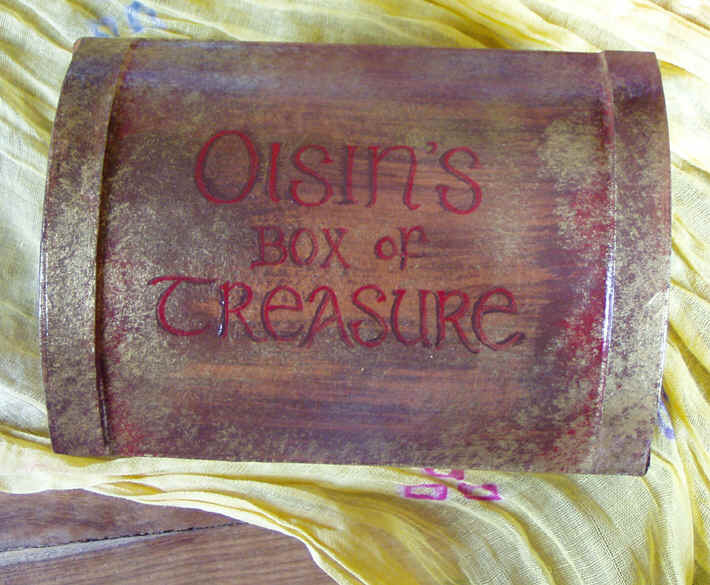 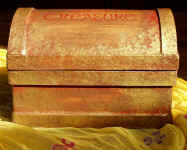 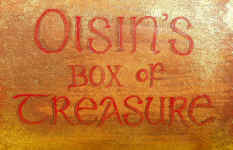 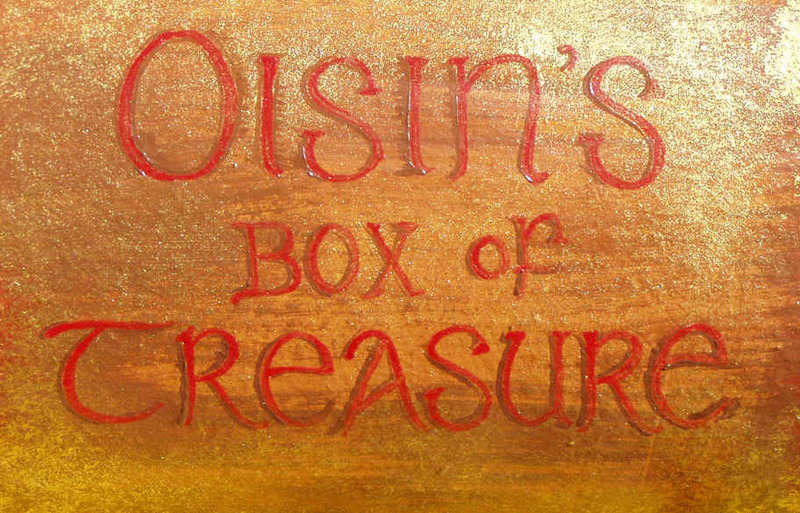 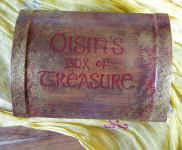 A cardboard treasure chest hand painted and personalised with a child's name. 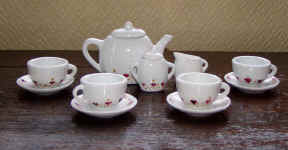 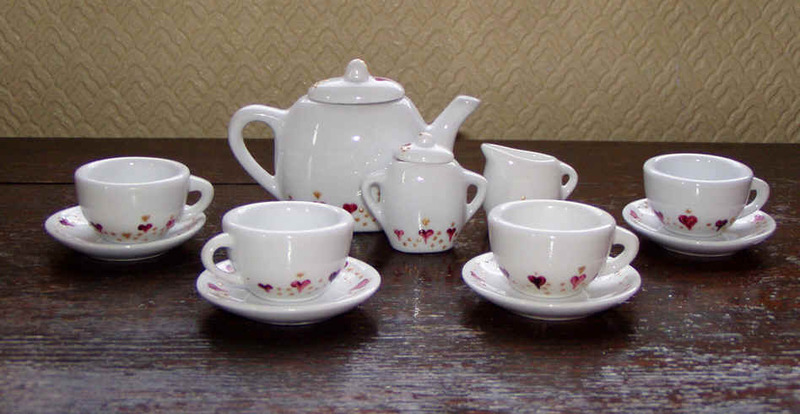 Hand Painted tiny tea set, great for teddy bears' tea parties. 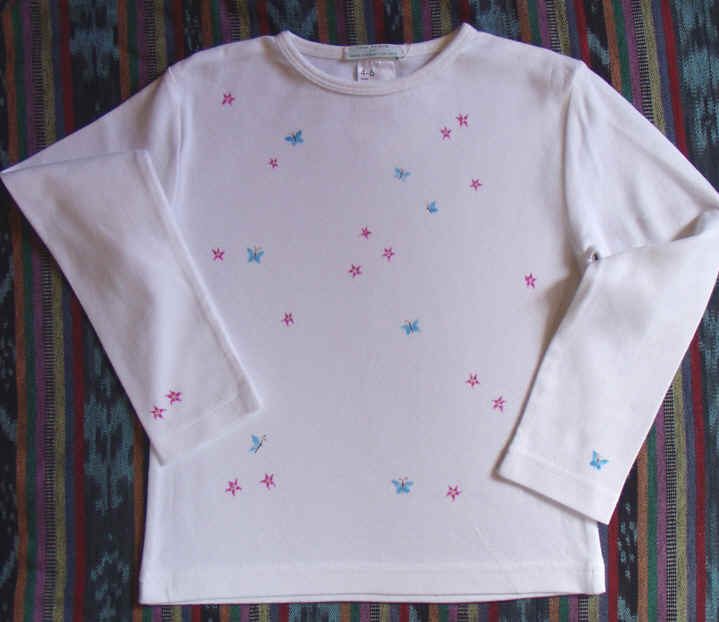 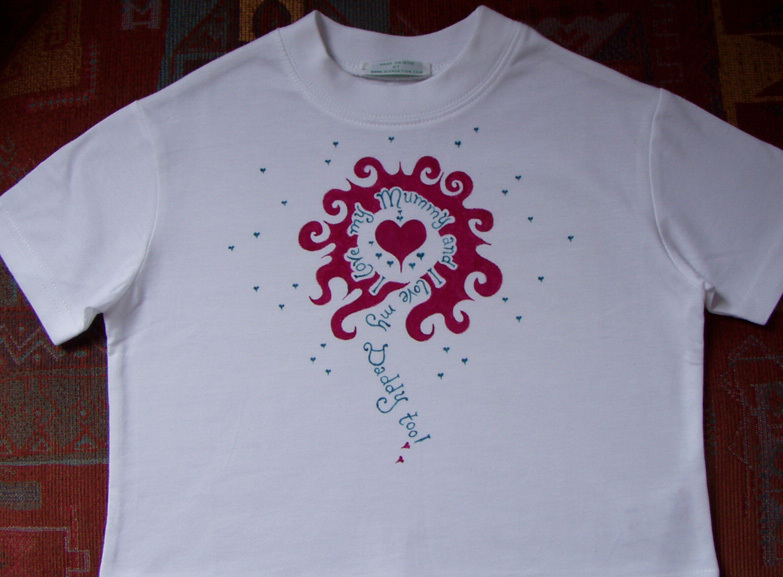 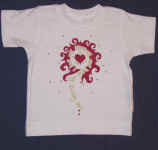 Available in Tiny Hearts design (above) or Butterflies and Flowers (not illustrated). 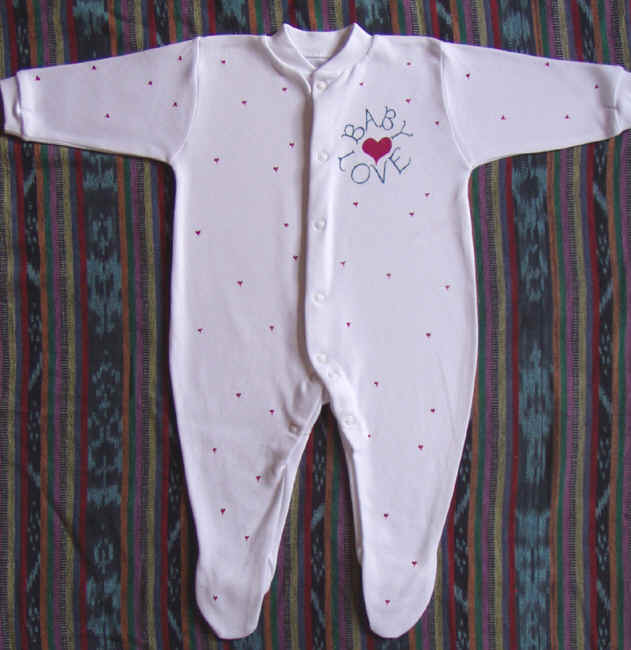 Comes with a gingham picnic cloth. 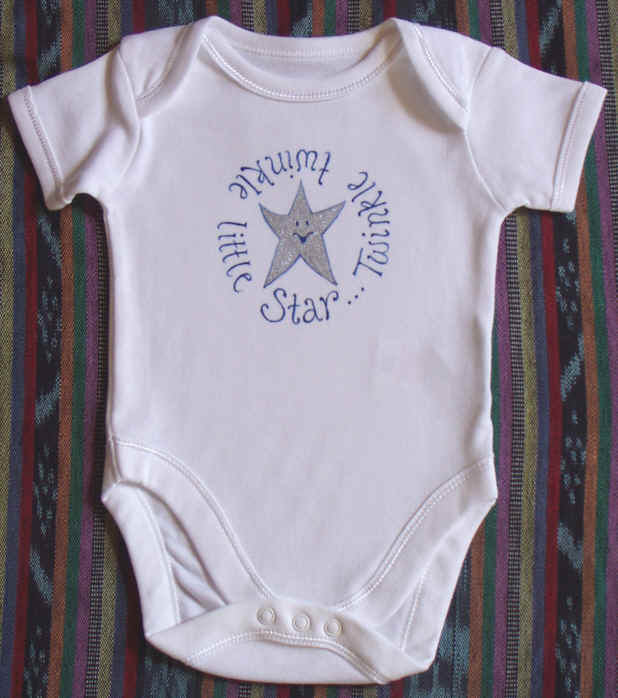 A great gift for any child, but it makes an especially thoughtful gift for a newborn baby. 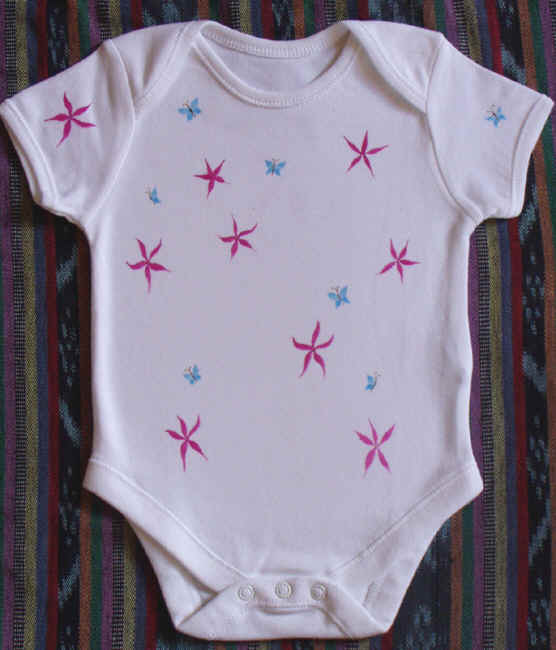 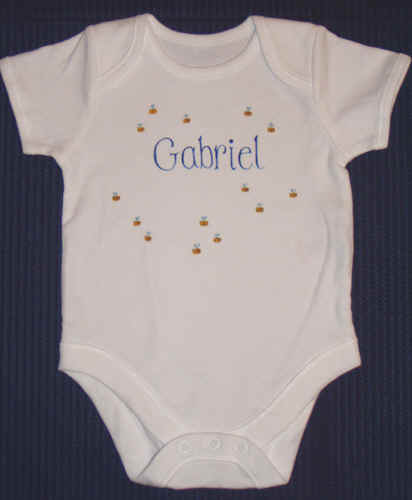 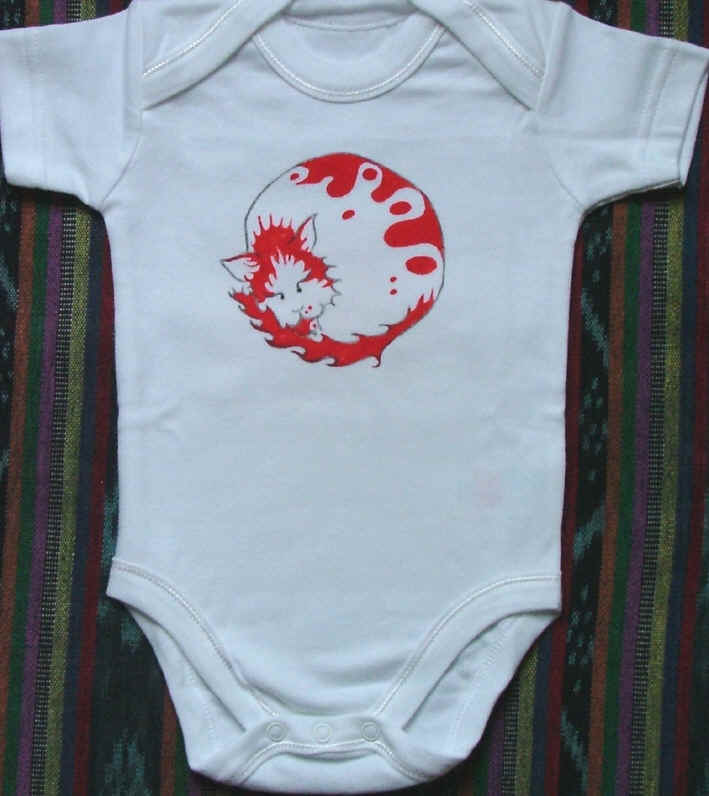 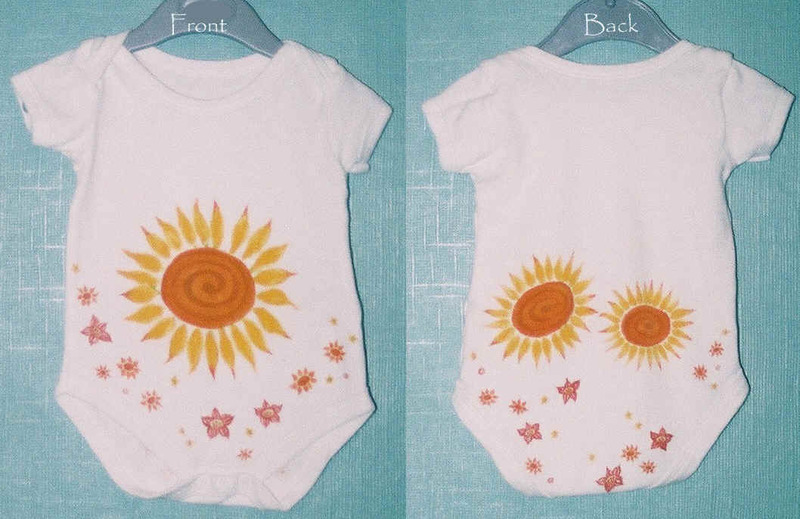 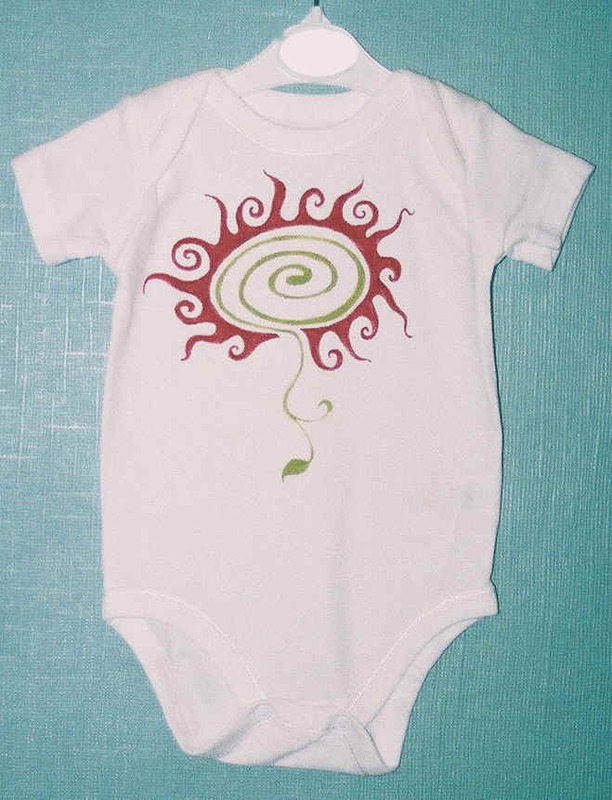 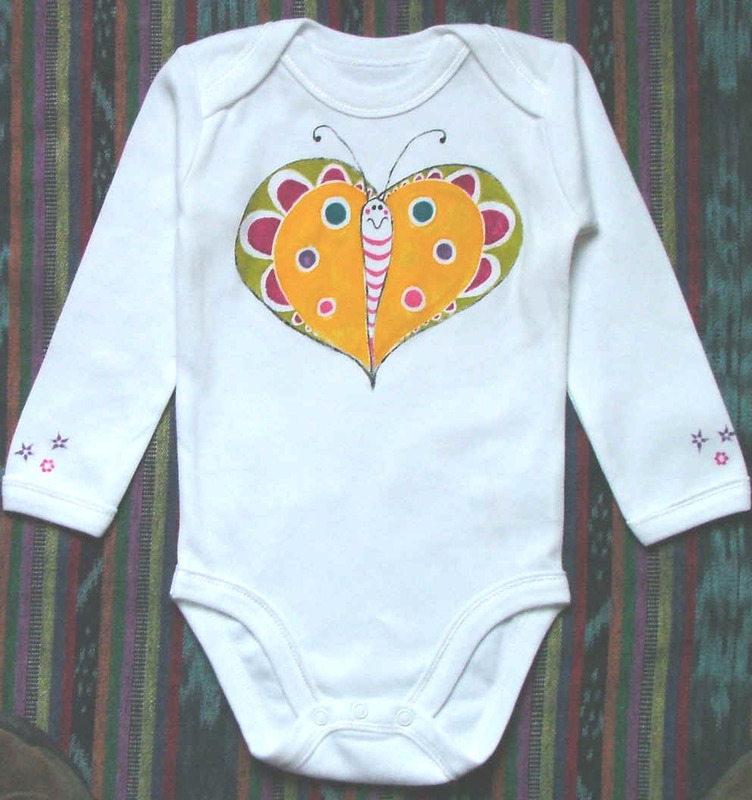 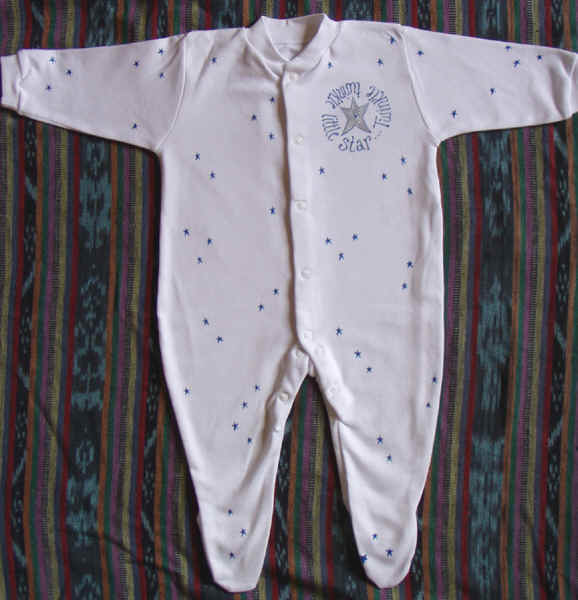 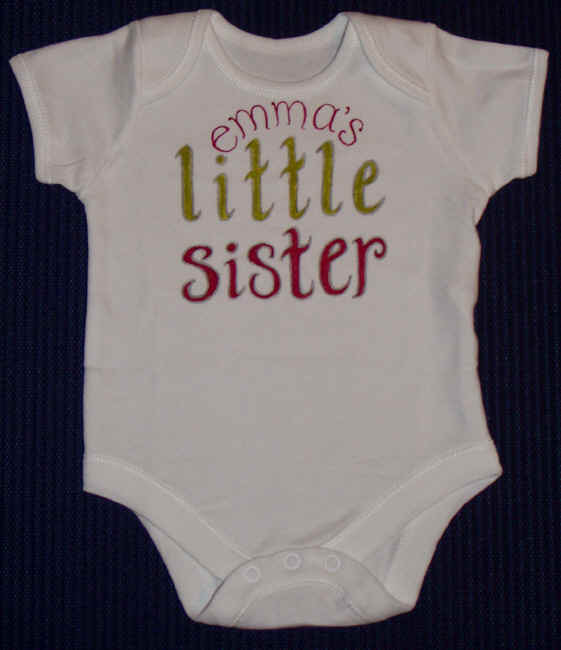 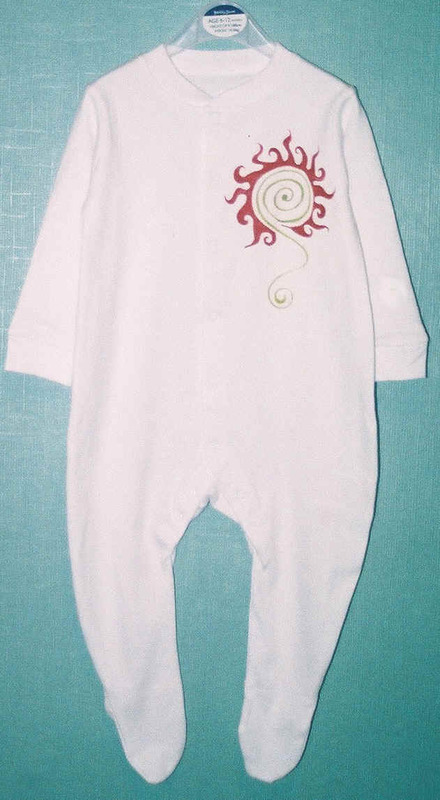 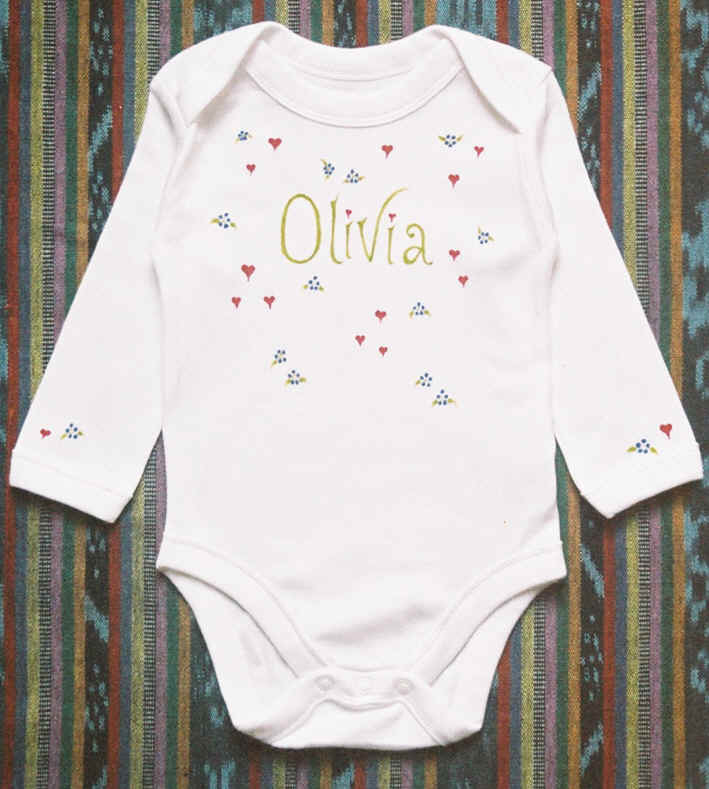 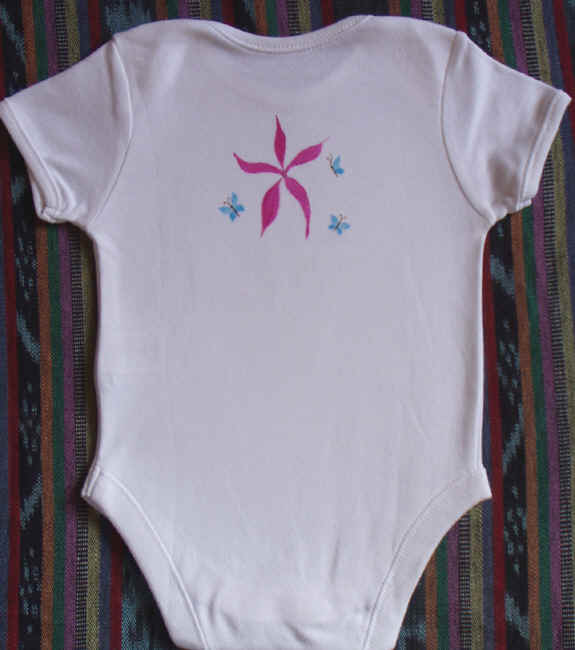 The bodysuits go down really well as gifts for newborns. 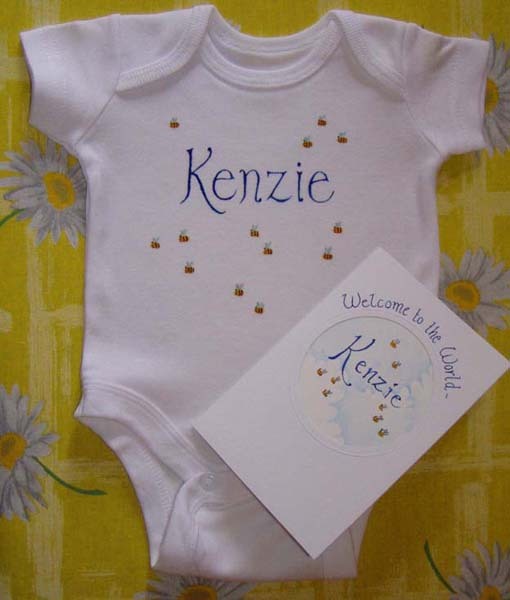 Don't forget to specify the name when placing your order. 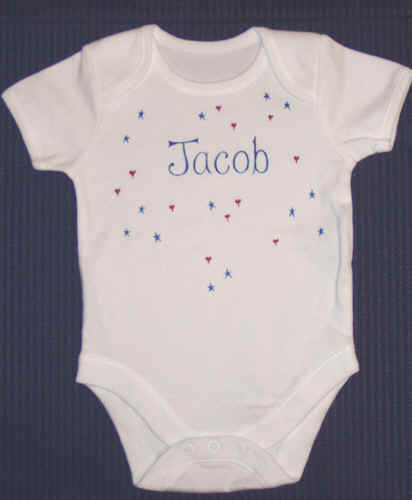 baby's birth date can be added at no extra cost. 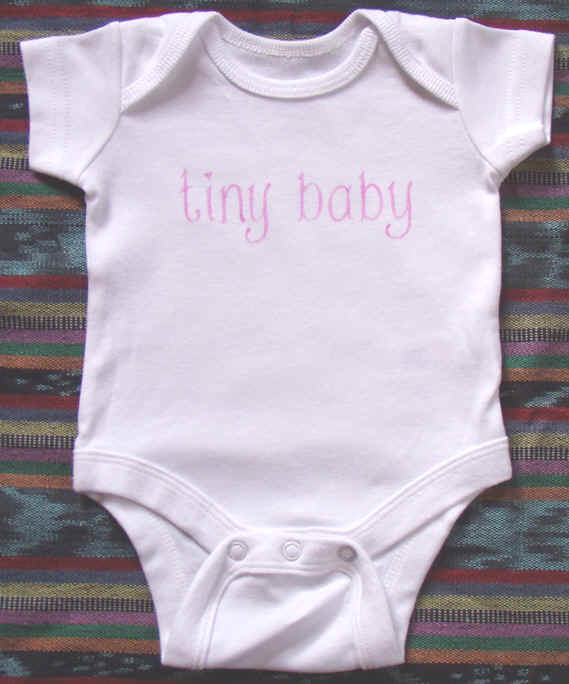 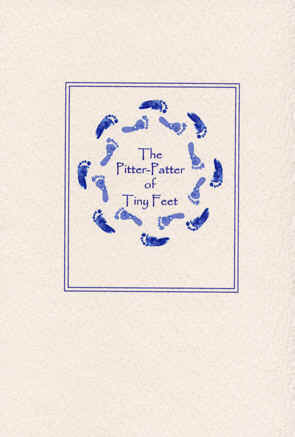 "New Baby" or "Tiny Baby"
Also available in this style - "Womb Names". 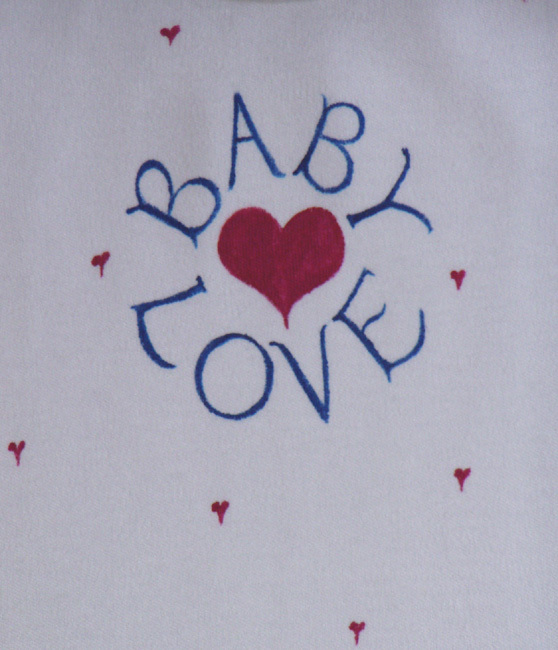 I Love My Mummy and My Daddy! 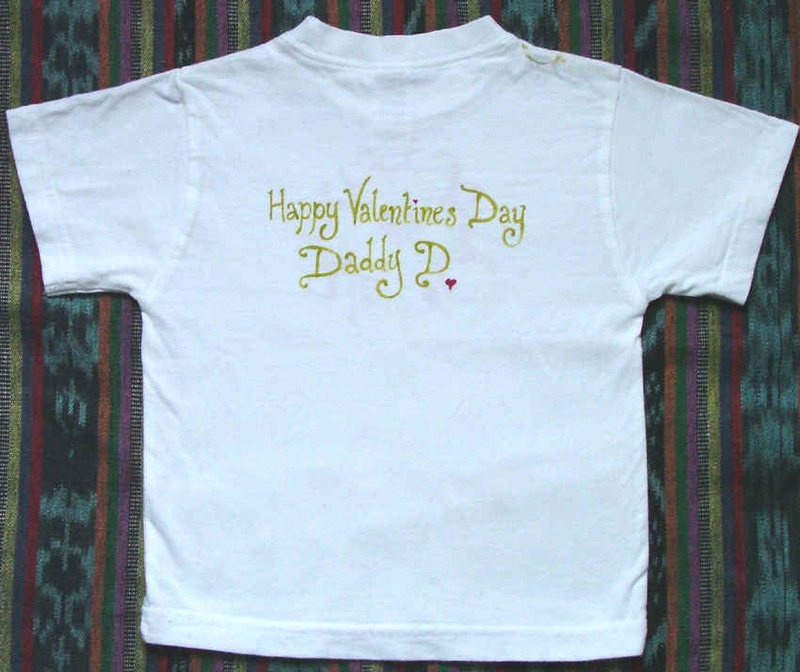 and I Love My Daddy Too! 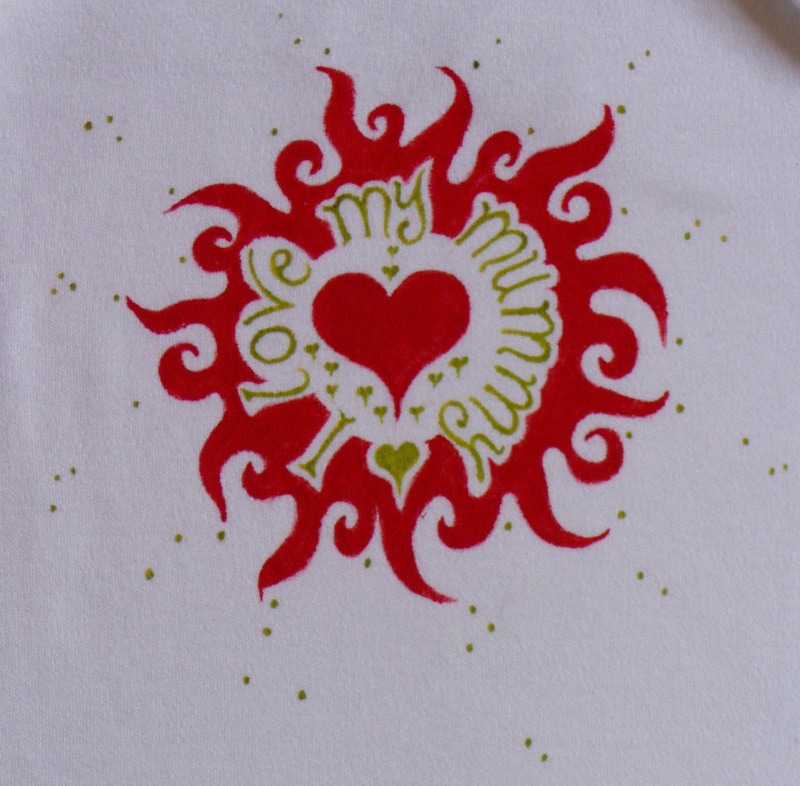 Commission your own choice of colour at no extra charge. A word about Sizes, Styles and Colours. 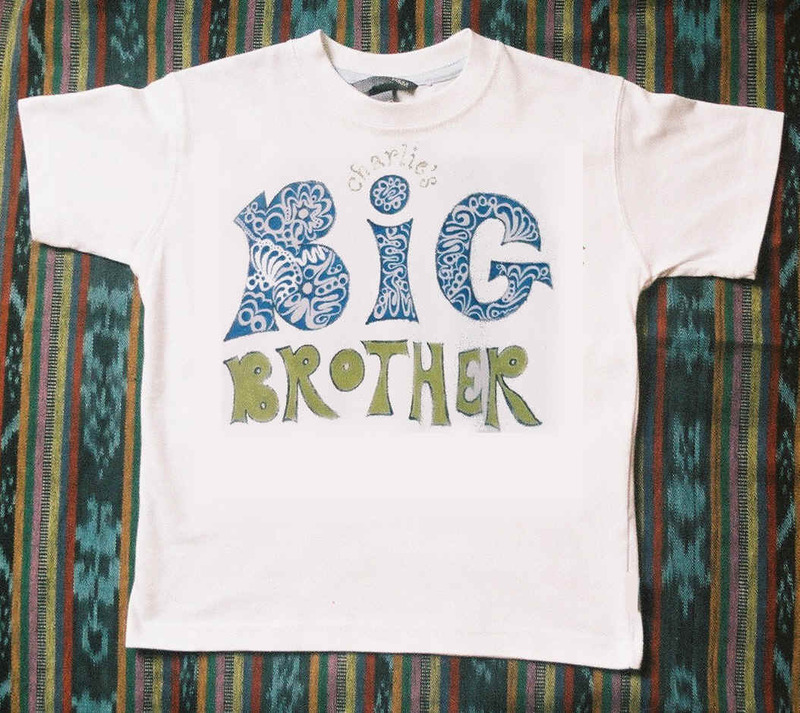 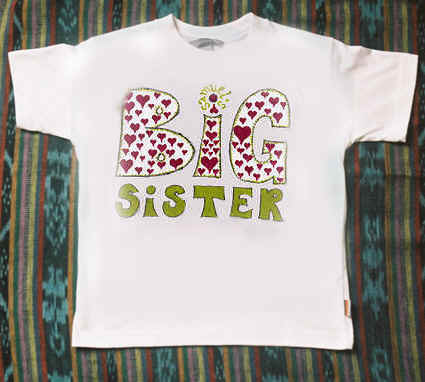 The Big Sibling wears a T-Shirt with their little Sibling's name on, proudly stating they are the Big brother or sister and the Little Sibling wears their Big Sibling's name with pride. 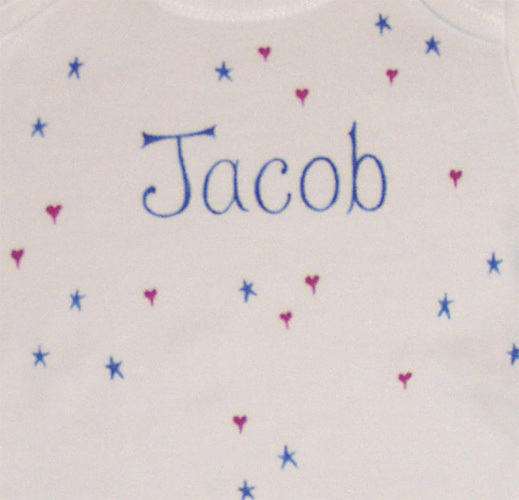 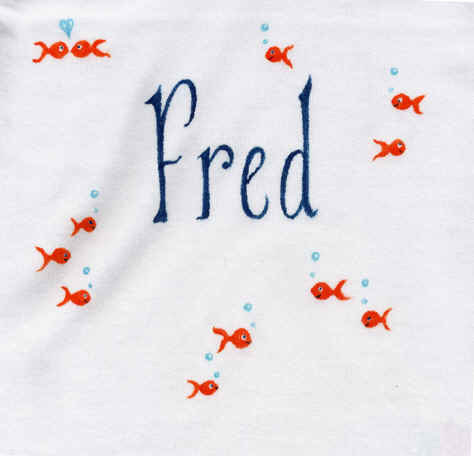 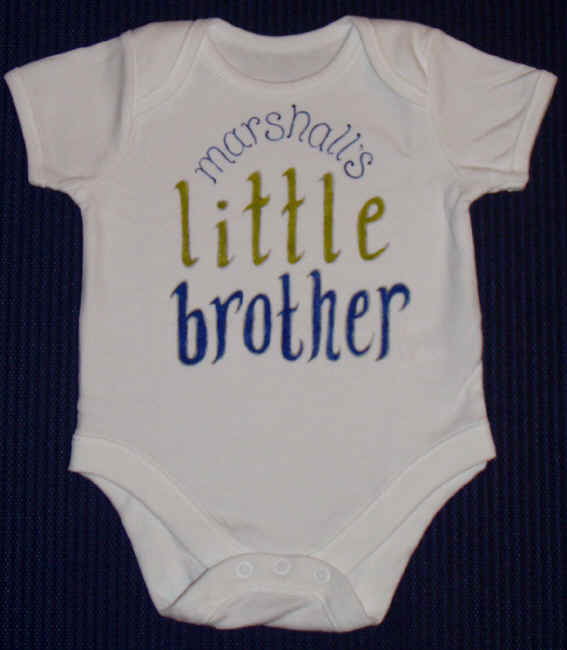 The older siblings love to see their name emblazoned on their small brother or sister's chest! 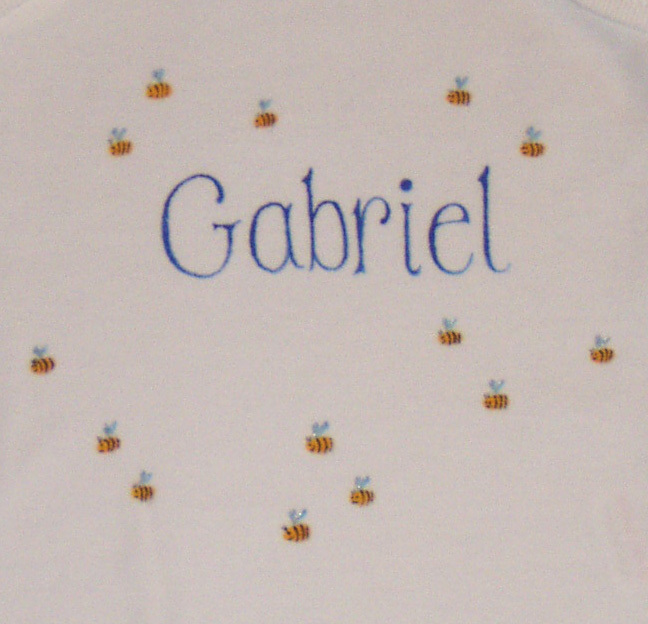 Please think carefully when filling in the information on your order form! Visit Sizing Info for size information for the T-Shirts and suits. 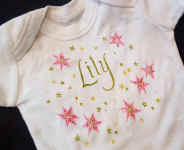 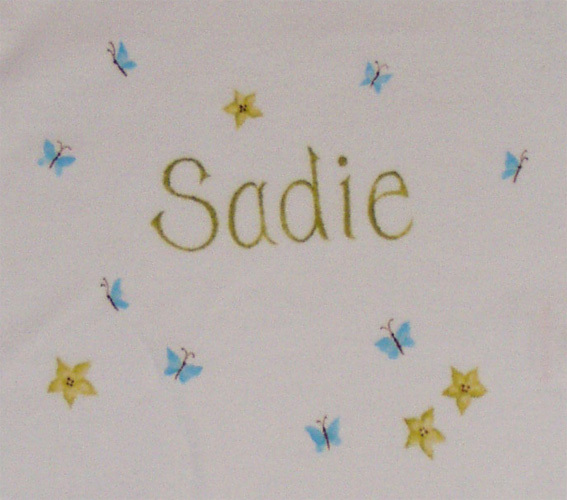 Or, why not commission a hand painted garment all of your own. 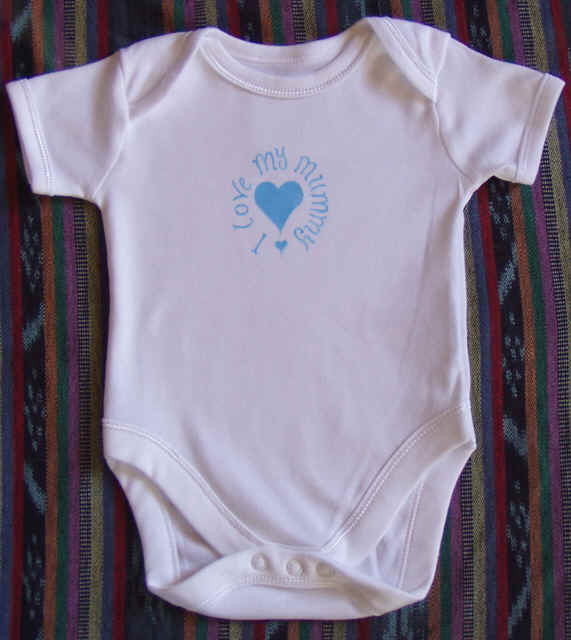 It wouldn't cost very much, if any, more than a regular garment. 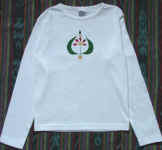 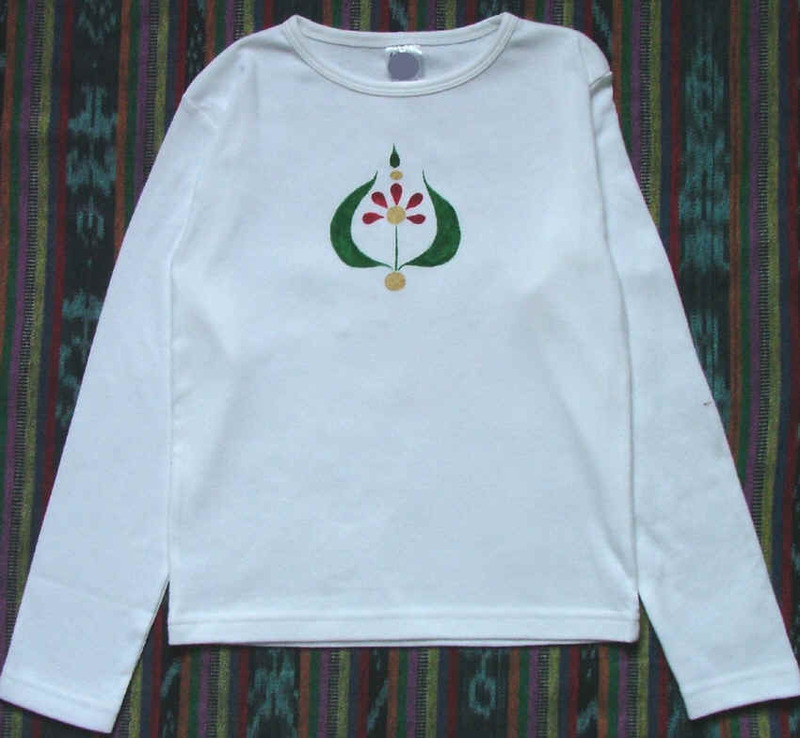 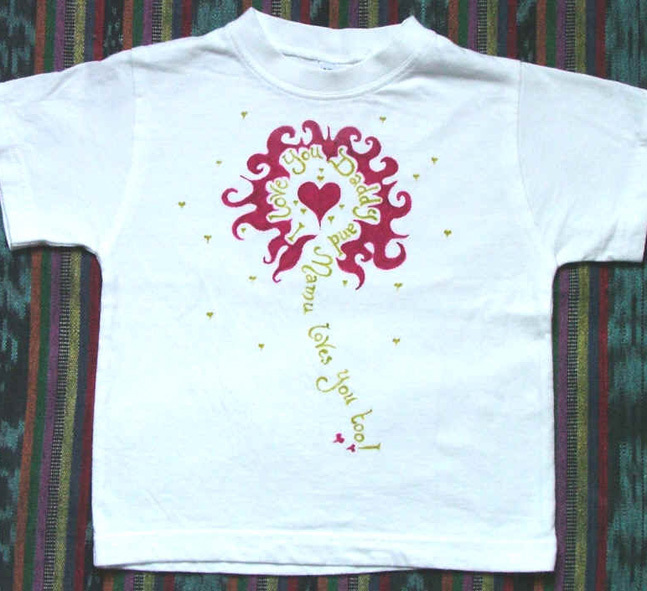 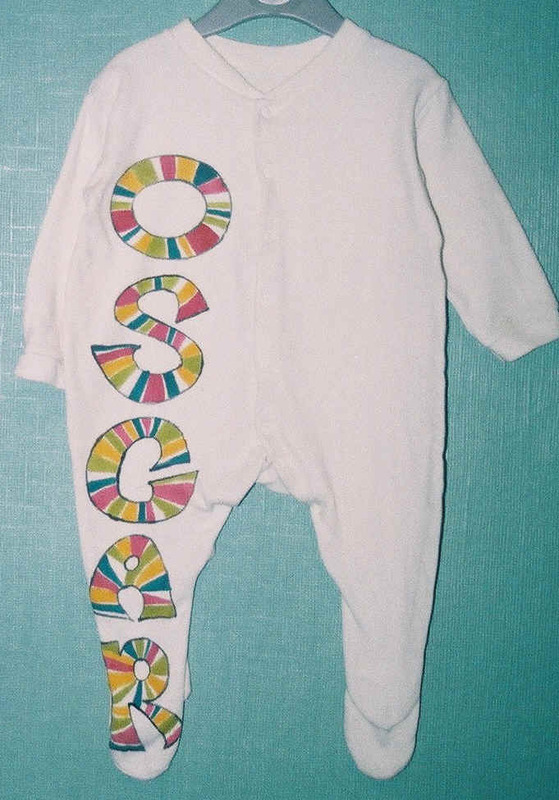 Below are some examples of commissioned children's wear already undertaken. 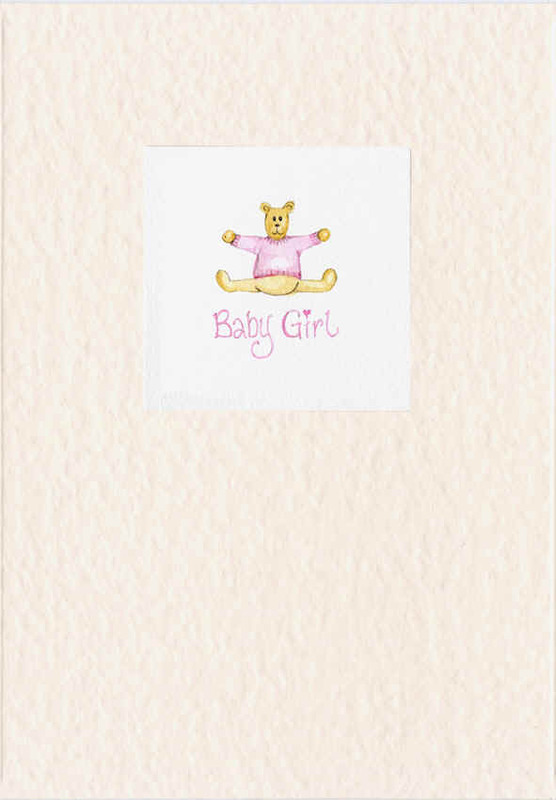 "Human Cards" go down VERY well with the message recipient. 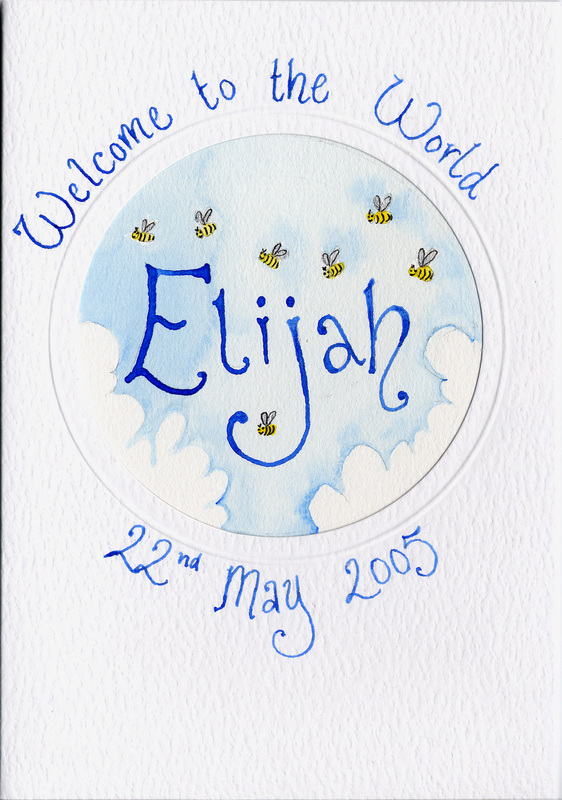 Grandparents love to receive a human card in the form of a grandchild! But parents and partners love human cards too. 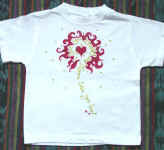 How about popping the question by t-shirt? 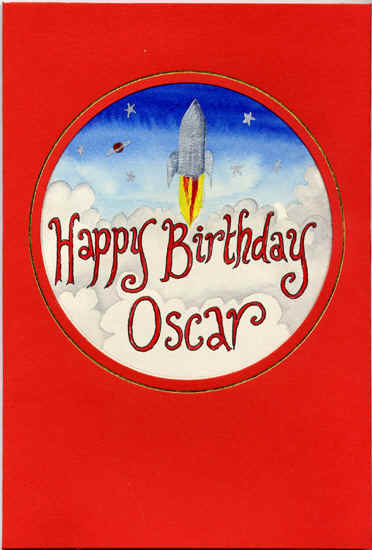 70 th Birthday Card for a Grandmother. 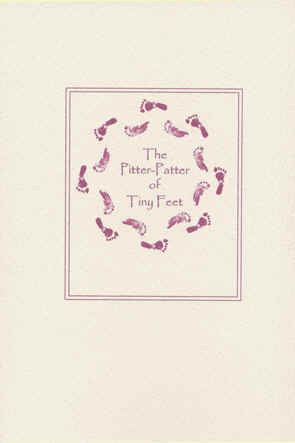 Valentine's Card from daughter and her "Mamu" to the Daddy. 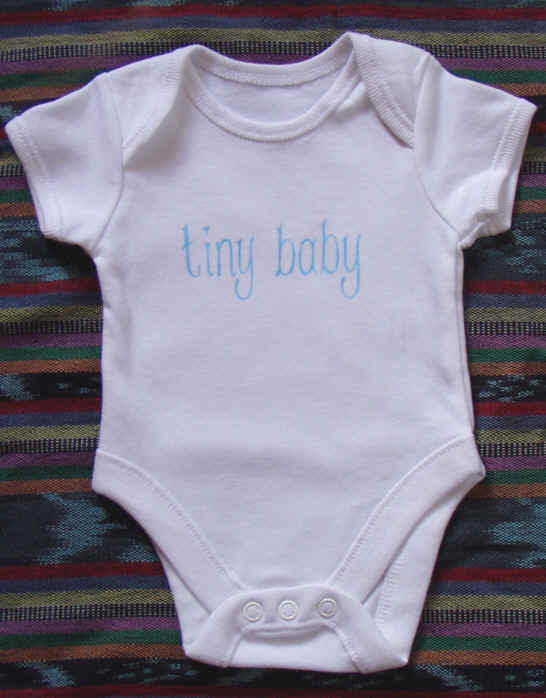 Prices from £12 - £20 for similar styles.